What happens if hepatitis C isn’t treated? Talk to your doctor about MAVIRET. of people who take MAVIRET as directed and who are new to treatment and without liver scarring (cirrhosis) can expect to be cured* of their hepatitis C (hep C), meaning that the hep C virus has been cleared from the body. *Cure means the hep C virus is not found in the blood 3 months after treatment ends. MAVIRET is a prescription medicine used to treat adults with any of the 6 major types of chronic (long-lasting) hep C.
MAVIRET belongs to a group of medicines called direct-acting antiviral agents (DAAs) and is available in tablet form. Always take MAVIRET exactly as your doctor or pharmacist tells you. 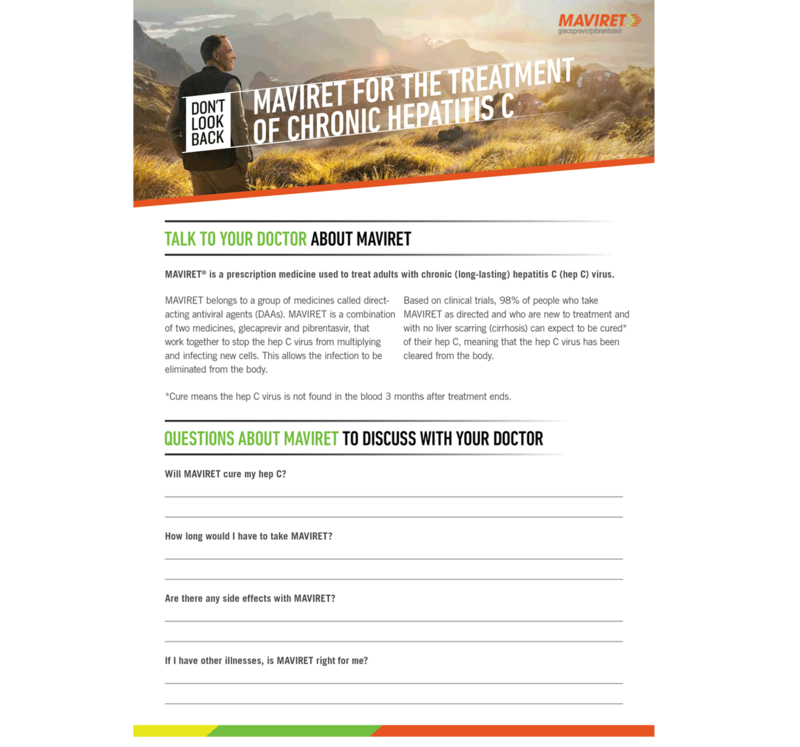 MAVIRET is an 8-week hep C treatment for patients with any of the 6 major types of hep C (genotypes 1-6) who have not been treated before and who are without liver scarring (cirrhosis). Ŧ Some people will need to take MAVIRET for 12 weeks (3 months) or 16 weeks (4 months). Your doctor will tell you how long you will need to take MAVIRET. Always take MAVIRET exactly as your doctor or pharmacist tells you. The most common side effects of MAVIRET are headache, tiredness and nausea. All medicines can have side effects. Most side effects are mild and don’t last long. Find out more about the side effects related to MAVIRET. Based on clinical trials, 98% of people who take MAVIRET as directed and who are new to treatment and without liver scarring (cirrhosis) can expect to be cured* of their hepatitis C (hep C), meaning that the hep C virus has been cleared from the body. 12 weeks after treatment is finished a blood test will confirm whether treatment with MAVIRET has worked. Once the test results come back, your doctor will explain them. There is a small chance that the hep C virus will not have been cleared. If this happens, your doctor or nurse will be able to talk to you about your options, and how you can continue to look after your liver. The combined action of the medicines in MAVIRET aims to stop the hep C virus from multiplying and infecting more liver cells. What happens if hepatitis C isn't treated? 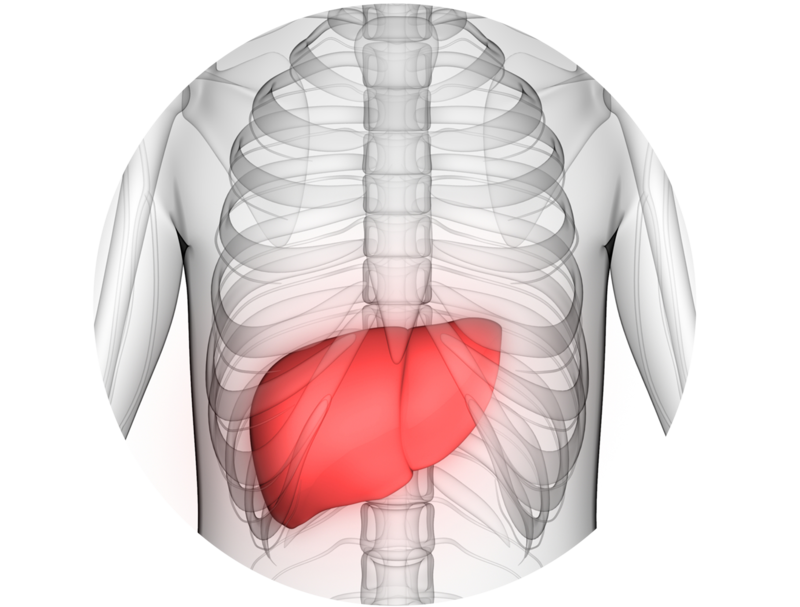 The longer you live with hep C, the more likely you will have some sort of liver damage. 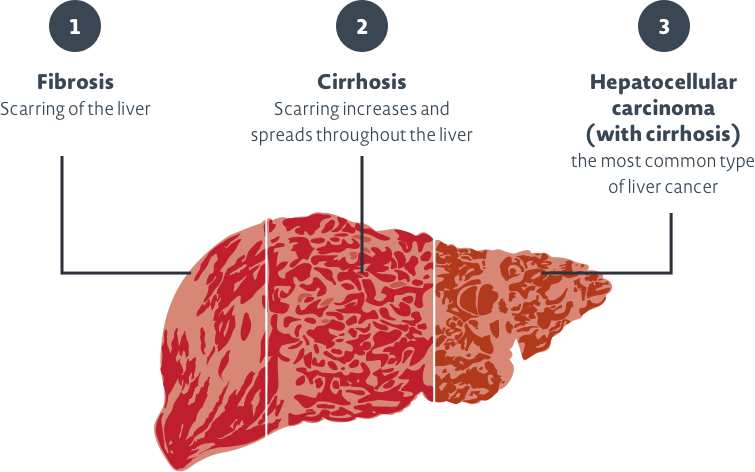 The liver performs many vital functions, including removal of waste products, fighting infection, controlling bleeding, digesting food and storing energy. 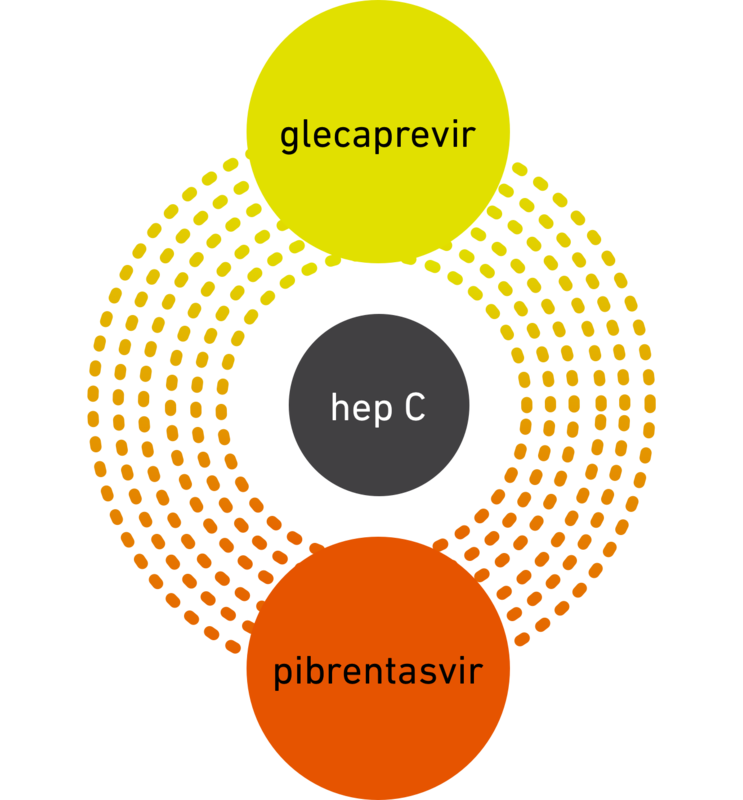 If chronic (long-lasting) hep C is untreated, the hep C virus can multiply inside your liver cells and cause damage. In some cases, after more than 20 years, hep C damage can lead to cirrhosis (severe scarring), liver failure and sometimes liver cancer. Everyone with chronic (long-lasting) hep C should benefit from antiviral treatment. Not only can getting rid of the virus lower your risk of developing severe liver disease, but it can also improve your quality of life. It is important to treat hep C as it is highly contagious and can exist in small amounts of blood that are too small to see. It is spread when blood from an infected person enters another person’s bloodstream and can exist in traces of blood outside the body for up to 3 weeks. Successful treatment may lower the risk of developing liver failure and developing liver cancer in people with cirrhosis, and from spreading the virus to others by blood to blood contact. Having hep C doesn’t automatically mean you’ll experience symptoms or develop liver disease. But the longer you live with it, the more likely you will have some sort of liver damage. The best way to find out if MAVIRET is right for you is to talk to your doctor. 10. Healthline. Cirrhosis and Hepatitis C. https://www.healthline.com/health/cirrhosis-and-hepatitis-c Accessed July 2018. 11. Centers for Disease Control and Prevention. Hepatitis C FAQs for the Public. https://www.cdc.gov/hepatitis/hcv/cfaq.htm. Accessed July 2018. 12. Hepatitis Foundation of New Zealand. https://www.hepatitisfoundation.org.nz/ Accessed July 2018.